Today, my crafting world is in perfect alignment. You see, today, I got the opportunity to create this lovely mini album. I know, I know, you don't get it! What's so special about creating a mini album anyways? So, you know how some people have a signature dish? A dish that they can whip up with their eyes closed and that always tastes amazing! Well, I don't have one of those! Don't get me wrong, I can definitely throw down in the kitchen but I can honestly say that I don't have a signature dish. I do, however, have a signature crafting project! A crafting project that I can whip up with my eyes closed and that always turns out amazing. Yes, my crafty friends, my signature crafting project is the toilet paper roll mini album! The toilet paper roll's job is not finished once the paper is gone! On the contrary, it's only just begun! In fact, it's a blank canvas just waiting to be transformed into a little work of art! So, start saving those empty rolls and allow me to help you with a little inspiration. Check out today's video for a peek inside this lovely mini. Would you like to learn how to make more projects like this one? And have a chance to earn free products? All while having fun hanging out with your girlfriends? 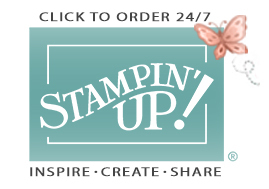 Ask me how you can host your very own Stampin' Up! Party! Be sure to check out the list of supplies I used below and if you want to order any of them just click on the link or contact me. Love it! There are so many different looks for the Botanical Stamps & Framelits! Thank you so much, Nancy! The Botanical Blooms is definitely one of my favorites! 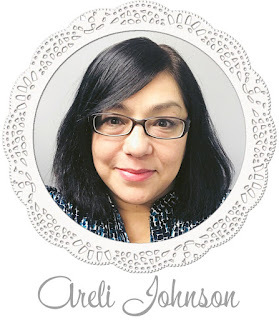 Oh, Areli, this is such a beautiful album and gift idea, and thank you so much for doing the tutorial on SCS! So glad I've found you too, since we share a wonderful faith in God! Hugs! Thank you so much, Cheryl. I, too, am so glad that you found me and that you enjoyed my tutorial. Bless you. Win a FREE Big Shot From ME! It's Here! The New Occasions Catalog!